Hide deals from seller "Jolly Express"
Limit 1 per person. Valid on 5 individual train rides. May be used in multiple visits. Valid at CherryVale, Ford City and Janesville mall locations only. Promotional value expires 60 days after purchase. 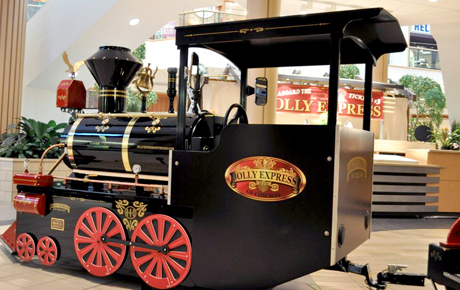 Delight your family with 20% off five train rides on the Jolly Express in CherryVale Mall, Janesville Mall or Fort City Mall ($15 value). A trackless train ride located in CherryVale Mall, Ford City Mall and Janesville Mall.